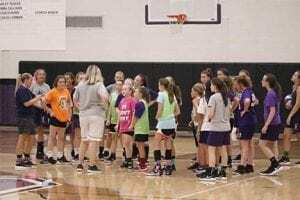 The Lady Bobcats basketball program held their annual summer camp on June 4th through June 7th and had an excellent turn out. The camp was led by varsity basketball players as well as the Gilmer varsity coaches and Clear Creek Middle school coaches. Coach Nunn from the high school was very pleased with the 50 young athletes and their attentiveness to the instruction be offered. These future Lady Cats were instructed in ball handling, blocking out drills and defensive set ups. Each station was being taught by the current Lady Cats players as well as the coaching staff in attendance. Each day was capped off with teams being chosen for each age group with a mini-game to allow these young ladies to put the skills to the test against a real opponent. 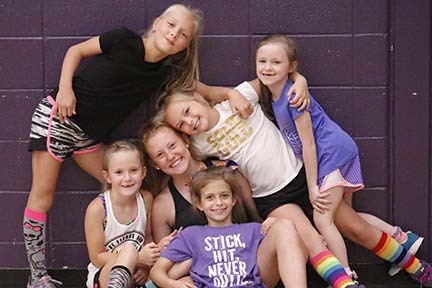 These athletes were excited to be there and learn from those they look up to and hope with hard work they will be in the position to be apart of this summer camp in the future as a instructor.